I love my chickens – they work hard and they give us eggs almost every single day! I’ve written about my Top 10 Things I Love About Chickens and I’d bet you will agree with my list. 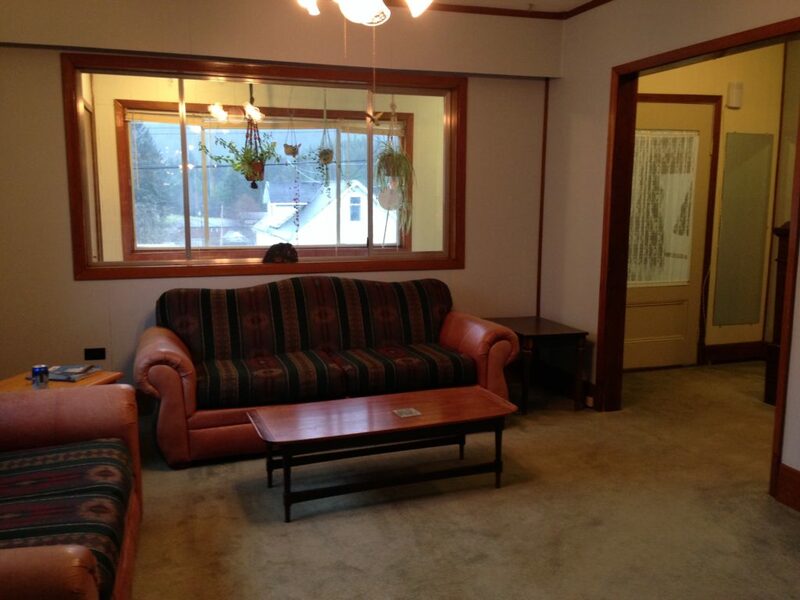 There may even be a couple things on there you hadn’t thought of…..yet. Chickens work hard on our homestead. 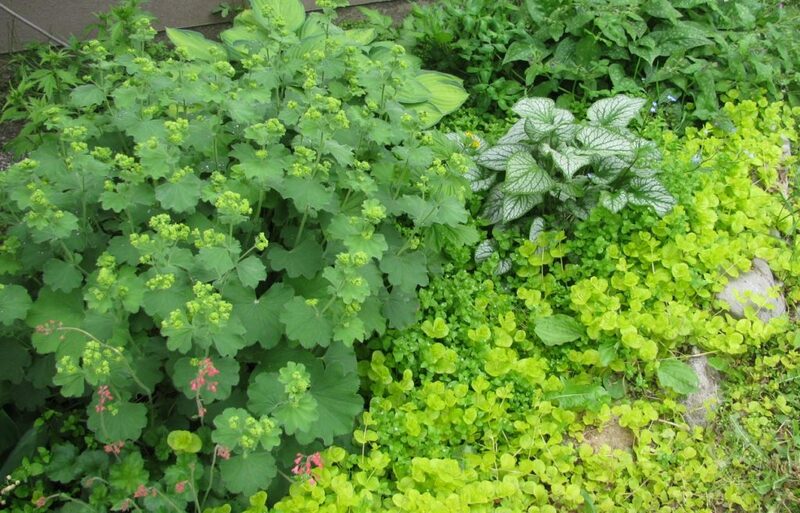 They get rid of lots of bugs, they work my garden soil over for me and they fluff up our compost piles like nobody’s business! I love chickens! And because I think you do too (or someone you love does), here are my Top 5 Gifts for the Chicken Lover in your life! Sloggers Chicken Lovin’ Boots – Made in the USA, they are a bit wider in the leg than regular rubber boots. This gives me plenty of room to tuck the legs of my jeans in without them bunching up. They’re made from recycled rubber, they have awesome insoles and they work great in the mud. Even better? If they EVER wear out, you just return them to Sloggers and they will recycle them into a new pair. What’s not to love about that? I have the red chicken boots, just like the photo. They’re awesome! 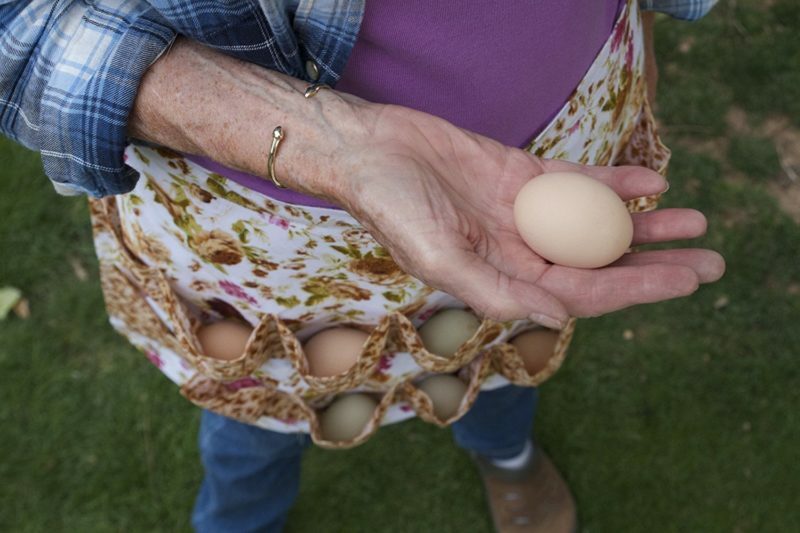 The Egg Collecting Apron – I should have bought one of these egg gathering aprons years ago. Have you ever collected eggs in your pockets, then without thinking, bend down to pick something up? Really, really not good. Raw egg is awful to have to clean out of jacket pockets. Get one of these instead. 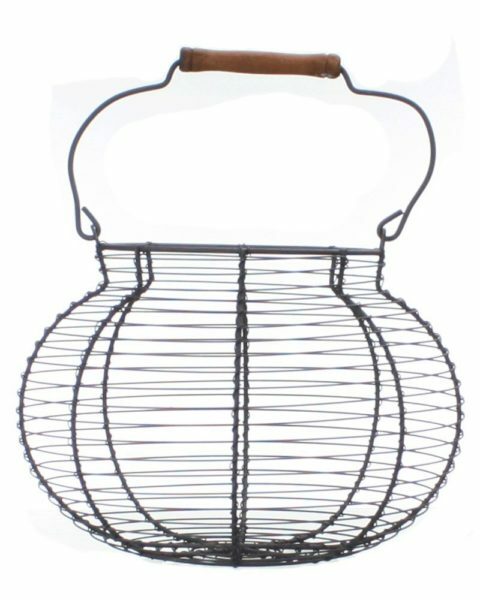 Antique Style Wire Egg Basket – I love the look of these and have two of them in our kitchen. Sometimes they have eggs in them, but I’ll put other things in there like garlic or small potatoes. If you’re looking for something to add to make your kitchen more country, these are a great and affordable accessory. And along with the wire basket, I want this for on my counter…. Spiral Egg Holder – I love the way it looks. Wouldn’t it look great on the kitchen counter? You did know eggs don’t need to be kept in the fridge, right? 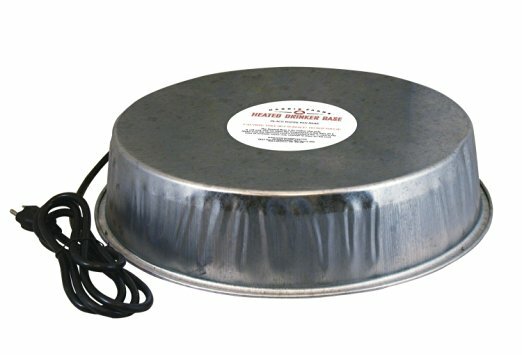 A Heated Poultry Waterer Base – OK, this gift is totally practical, I get that. I wouldn’t buy it for your wife for Valentine’s Day but….We ALL know that if a Chicken Lover isn’t happy, no one is happy! These are great for all those times you just can’t be at the henhouse – some of us have to work off the property, after all. 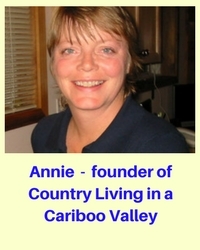 Need something for the homesteader in your life? Take a look at our 10 Great Gifts for the Homesteader! Where can I purchase these awesome gifts (OK I’ll fess up – gifts to myself too!) I’ve re-read a couple times and just must be missing the source. No way! 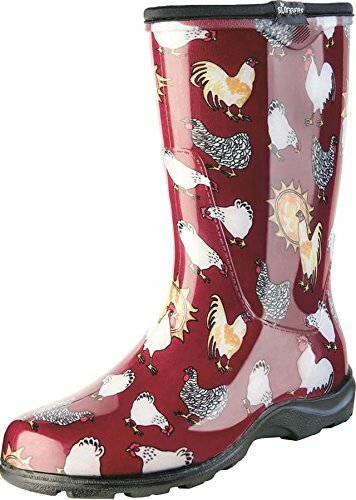 I have chicken rain boots too! 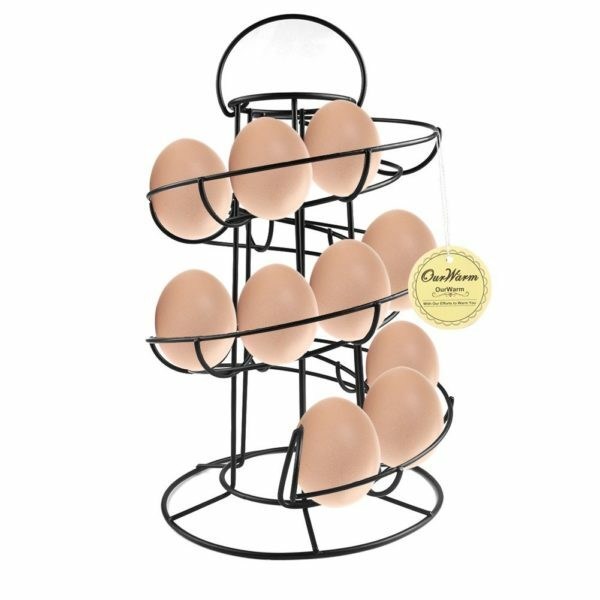 I love the egg stand! Aren’t the boots just the best? I love mine!